“Higher education is built upon collaboration. Cheyney University and West Chester University—two venerable public institutions of higher education—are entering a new level of collaboration that will enhance both universities well into the future. Located just six miles apart, our two universities are exploring how each can help the other meet strategic goals that will allow us to serve our students and the Commonwealth at an even higher level. 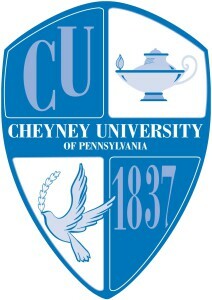 Cheyney University is the nation’s first historically black college and continues to build on its mission of access and excellence for all students. West Chester University is one of the nation’s premier comprehensive, regional universities that is experiencing tremendous growth. As presidents of these universities, we see real potential in collaboration. Both universities are members of Pennsylvania’s State System of Higher Education and provide academic programs that can complement each other. Working together, our two institutions can do better, reach higher, and go farther than would be possible alone. In fact, the State System believes this relationship can serve as a model for all universities that are looking for innovative ways to maintain their unique identities while reaping the benefits of a strategic relationship. We are already working to identify opportunities for greater operational and academic partnerships that will enrich the student experience, increase educational opportunities for the Commonwealth, and augment operational effectiveness and efficiency. With the strong support of our Councils of Trustees, it is our vision that these collaborations will result in a stronger Cheyney University and a stronger West Chester University—each with their rich traditions and strong identities affirmed—each poised for the future.